Looking for best 10036 Internet service providers available in your area? We found 11 high speed 10036 internet companies and 50 plans in 10036 zip code neighbourhoods. The cheapest 10036 internet available is $24.95 per month. Optimum is offering 10Mbps Cable Internet for as low as $24.95 per month. The fastest 10036 internet is 940 Mbps. Verizon is offering 940 Mbps DSL Internet for as low as $79.99 per month. Verizon, Spectrum -Time Warner Cable, Charter Communications, Optimum, RCN, Windstream, HughesNet, Viasat, Xchange Telecom, Wisper ISP and BarrierFree are the best 10036 internet in your area. Compare below their plan, price, speed, features and get exclusive discounts for ordering online! - 16% of residents in 10036 zip code can get Verizon Fiber Internet. The fastest speed Verizon customers can get in 10036 is 940 Mbps download and 880 Mbps upload. - 87.6% of residents in 10036 zip code can get Verizon Fiber Internet. The fastest speed Verizon customers can get in 10036 is 100 Mbps download and 100 Mbps upload. - 100% of residents in 10036 zip code can get Verizon DSL Internet. The fastest speed Verizon customers can get in 10036 is 15 Mbps download and 1 Mbps upload. 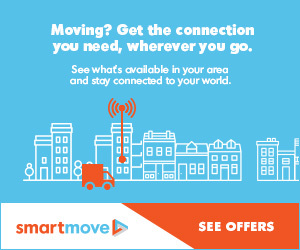 - 100% of residents in 10036 zip code can get Spectrum -Time Warner Cable Cable Internet. The fastest speed Spectrum -Time Warner Cable customers can get in 10036 is 300 Mbps download and 20 Mbps upload. - 100% of residents in 10036 zip code can get Charter Communications Cable Internet. The fastest speed Charter Communications customers can get in 10036 is 300 Mbps download and 20 Mbps upload. - 21.8% of residents in 10036 zip code can get RCN Fiber Internet. The fastest speed RCN customers can get in 10036 is 1000 Mbps download and 1000 Mbps upload. - 49.2% of residents in 10036 zip code can get RCN Cable Internet. The fastest speed RCN customers can get in 10036 is 330 Mbps download and 20 Mbps upload. - 0.3% of residents in 10036 zip code can get Xchange Telecom Fiber Internet. The fastest speed Xchange Telecom customers can get in 10036 is 1000 Mbps download and 1000 Mbps upload. - 0.6% of residents in 10036 zip code can get Xchange Telecom DSL Internet. The fastest speed Xchange Telecom customers can get in 10036 is 25 Mbps download and 5 Mbps upload. - 3.5% of residents in 10036 zip code can get Xchange Telecom Cable Internet. The fastest speed Xchange Telecom customers can get in 10036 is 45 Mbps download and 5 Mbps upload. - 100% of residents in 10036 zip code can get Xchange Telecom Fixed Wireless Internet. The fastest speed Xchange Telecom customers can get in 10036 is 1000 Mbps download and 1000 Mbps upload. 100% of residents in 10036 zip code can get DSL Internet. 100% of residents in 10036 zip code can get Cable Internet. 91% of residents in 10036 zip code can get Fiber Optic Internet. What is the best Internet Providers in 10036 zip code? There are many options for best Internet Service Provider in 10036 are: Spectrum (Charter),Verizon,Verizon. The best option for you will depend on your budget and needs. What is the fastest Internet speed 10036 zip code? RCN is the fastest Cable Internet Service Provider in 10036. RCN delivers fast, reliable internet service in 10036, New York. RCN offers speeds up to 1000 Mbps and is the best option for speed where it's available. What are the cheapest Internet providers in 10036? The cheapest Internet Service Provider in 10036 is $24.95 per month. Optimum offers 10Mbps Cable Internet for as low as $24.95 per month.